For those that love coconut like I do, this Coconut Cream Dressing is an old-style recipe that you don't see much of anymore. 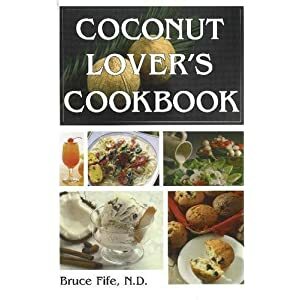 Order Coconut Lover's Cookbook - If you like coconut, you will love this book. It's written for coconut lovers as well as for the growing number of health conscious individuals who recognise coconut as a marvellous health food. Every recipe contains coconut in one form or another. Some recipes such as Coconut Battered Shrimp and Coconut Macaroons use shredded or flaked coconut. Others such as Chicken A La King and Strawberry Chiffon Pie use coconut milk or cream in place of dairy. The salad dressings and mayonnaise recipes are based on coconut milk and oil. In a small bowl, combine all ingredients; mix well. Chill until ready to serve.